↑USS Valley Forge (CV-45). The first of a flight of eight Bell HTL-3 helicopters rise from the carrier's flight deck, off the Japanese coast, circa early January 1953. Valley Forge transported these aircraft to the Far East for use in evacuating Korean War battle casualties. The original photo is dated 3 January 1953. 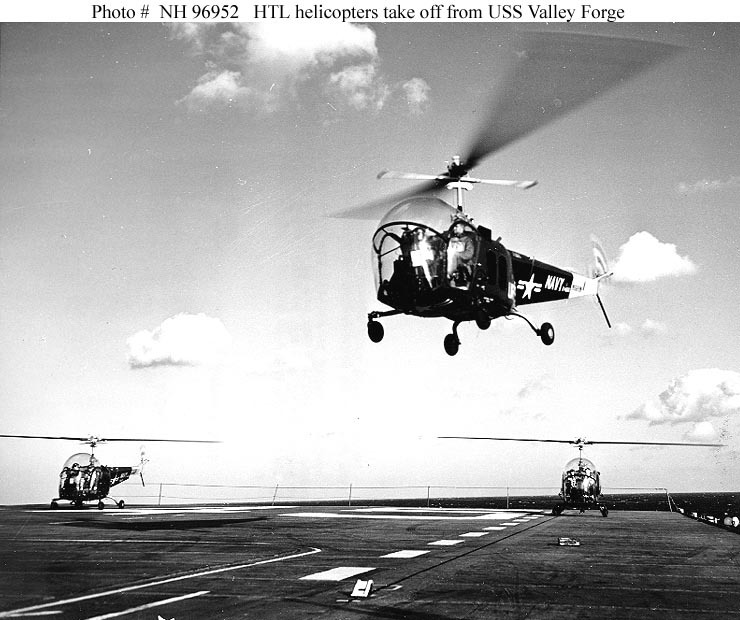 Its caption stated that this "was the largest mass take-off of helicopters in the history of Naval aviation". Official U.S. Navy Photograph, from the collections of the Naval Historical Center.